THE mosque in Pakistan is now no longer just a religious institution. Instead it has morphed into a deeply political one that seeks to radically transform culture and society. Actively assisted by the state in this mission in earlier decades, the mosque is a powerful actor over which the state now exercises little authority. Some have been captured by those who fight the government and military. An eviscerated, embattled state finds it easier to drop bombs on the TTP in tribal Waziristan than to rein in its urban supporters, or to dismiss from state payroll those mosque leaders belonging to militant groups. Very few Pakistanis have dared to criticise the country’s increasingly powerful mosque establishment although they do not spare the Pakistan Army and the country’s political leaders for their many shortcomings. For example, following the Army Public School massacre, Prime Minister Nawaz Sharif’s promise to regulate the madressahs was immediately criticised as undoable. Had he instead suggested that Pakistan’s mosques be brought under state control as in Saudi Arabia, Iran and several Muslim countries, it would have been dismissed as belonging to even beyond the undoable. 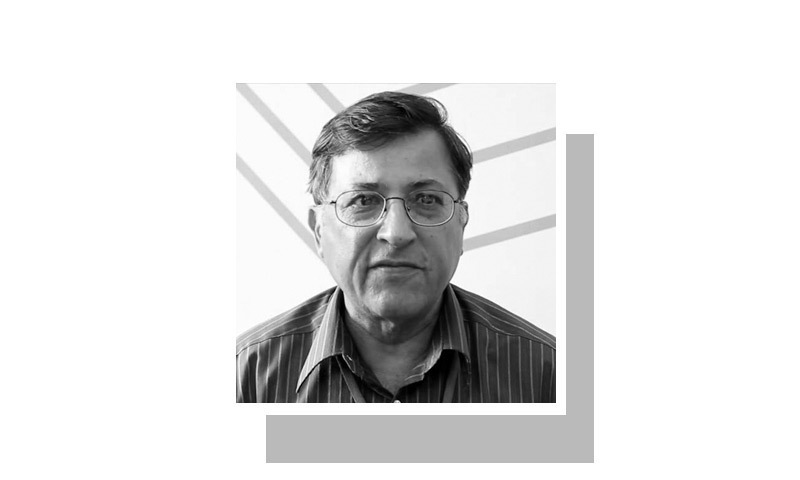 The state’s timidity was vividly exposed in its handling of the 2007 bloody insurrection, launched from inside Islamabad’s central mosque, Lal Masjid, barely a mile from the heart of Pakistan’s government. It was a defining point in Pakistan’s history. The story of the Lal Masjid insurrection, its bloody ending, and subsequent rebound is so critical to understanding the limitations of Pakistan’s fight against terrorism that it deserves to be told once again. Very few Pakistanis have dared to criticise the country’s increasingly powerful mosque establishment. In early January 2007, the two head clerics of the Lal Masjid demanded the immediate rebuilding of eight illegally constructed mosques knocked down by the civic authorities. Days later, an immediate enforcement of Sharia in Islamabad was demanded. Armed vigilante groups from Jamia Hafsa and nearby madressahs kidnapped ordinary citizens and policemen, threatened shopkeepers, burned CDs and videos, and repeated the demands of tribal militants fighting the Pakistan Army. For months, unhindered by Gen Musharraf’s government, Lal Masjid operated a parallel government. Its minions received the Saudi Arabian ambassador on the mosque premises, and negotiated with the Chinese ambassador for the release of his country’s kidnapped nationals. The showdown came in July 2007. Copious TV coverage showed armed madressah students with gas masks firing away into the dense smoke. The final push left 10 of Pakistan’s crack SSG commandos dead, together with scores of madressah students. A tidal wave of suicide attacks — as promised by the cleric brothers — duly followed. Amazingly Pakistan’s civilian courts exonerated Abdul Aziz and Umme Hassan (his wife, who headed Jamia Hafsa). Ignoring TV footage, the court ruled that possession of heavy weaponry by the accused could not be proven. Today Abdul Aziz remains firmly ensconced in Lal Masjid and hundreds pray behind him. He has threatened to unleash a force of 8,000 students from nearby madressahs if he is again arrested. At the behest of the then chief justice Iftikhar Chaudhry, the destroyed Jamia Hafsa was awarded 20 kanals of choice land in sector H-11 of Islamabad for rebuilding. The land tycoon, Malik Riaz, lavishly reconstructed the damaged mosque. How many other Abdul Aziz’s does Pakistan have? Clerics who propagate Taliban and Daesh (Islamic State) views to their followers and who, like Aziz, are unmoved by the Peshawar massacre? No one knows even the number of mosques in Pakistan, where they are located, and, most importantly, what their khutbas (sermons) contain. This must change if Pakistan is to make any progress towards containing religious violence. The first baby step towards bringing an estimated 100,000 to 200,000 mosques under state control requires tasking local authorities at the district and tehsil level with documentation: mosque locations, sizes, religious affiliation, and known sources of funding. The second is to monitor Friday sermons, a possibility offered by modern technology. Many worshippers have mobile phones capable of recording audio. A sermon, once recorded, could be uploaded to a website operated by the Ministry of Religious Affairs. Readers wishing to see how this might be done should visit http://imams.mashalbooks.org/ where sermons from scores of mosques in rural Punjab have been recorded, transcribed, and categorised for full and free public access. A crisis is said to be a terrible thing to waste. Before the horror of the Peshawar atrocity fades from our collective memory let the state act decisively — albeit in small steps — to restore its right to regulate religious activities within its boundaries. Else the people of Pakistan shall continue to suffer terribly.